Firstly, Adwoa… For some reason I have misplaced my individual photos of each of these machines. Which is a bit of a loss, as the machine on the far end of this photo is actually quite interesting – and very turn-o-the-century. That said, they had a handful of beautiful cast iron machines at this museum. And the mandatory ‘Singer’ models seemed to dominate here too. I’ll find the photos eventually, I promise. There were more machines than were visible in this shot. Beautiful… This dress is a work of art on its own, and great example ‘of the era’. Unfortunately my phone’s camera was’t quite up to catching the detail in this light. 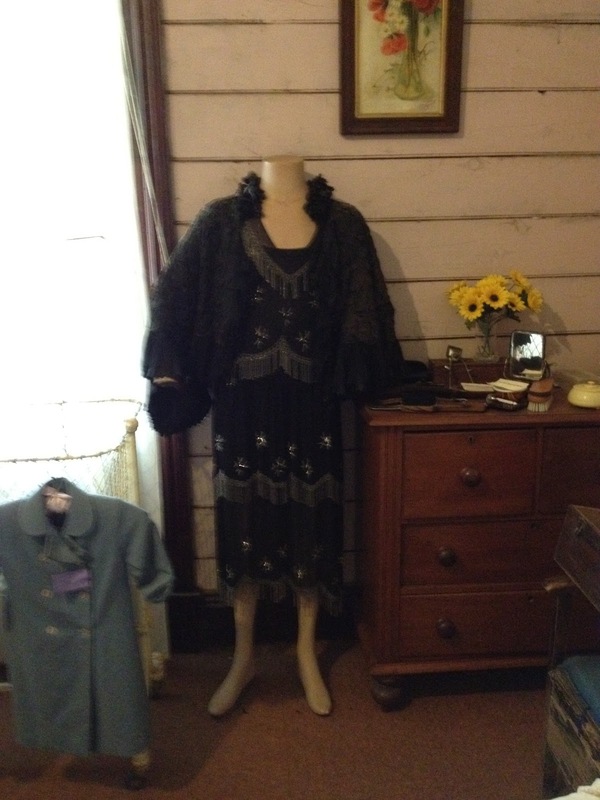 A very sombre dress. But it really seems to dominate the room. 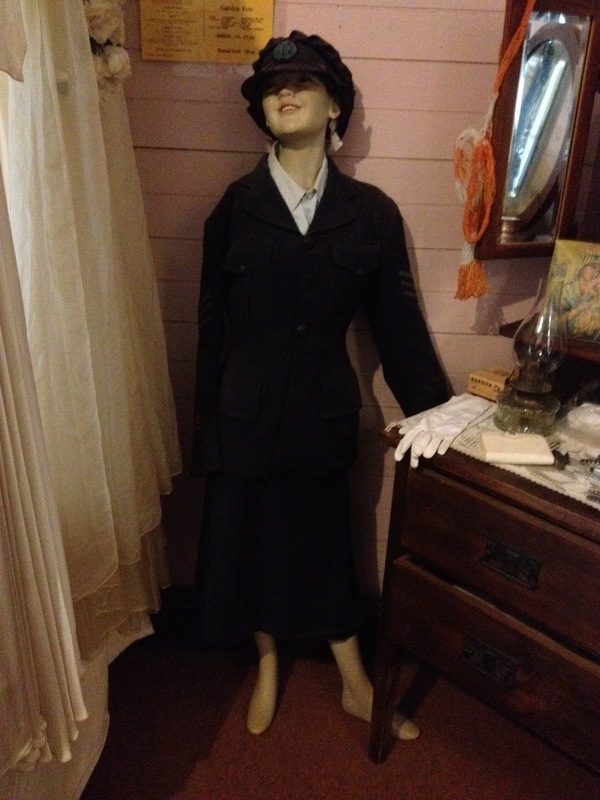 Ahhh yes, the WW2 women’s dress uniform. 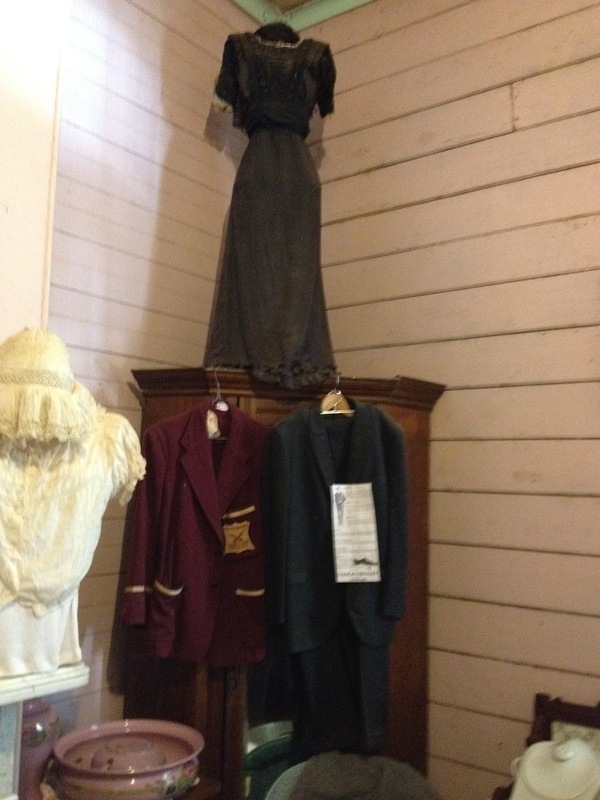 Often seamstress’s in these country towns worked to make the uniforms off patterns for the local volunteers. And now to Richard… You asked if the nudge bar on the front of my car was a ‘Roo bar’. 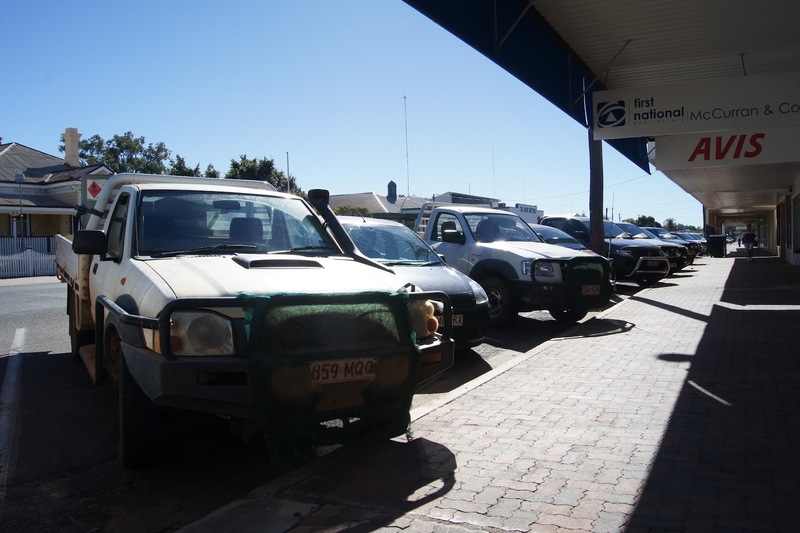 Here are a couple of shots of the local’s vehicles with their Roo bars. Roo bars are quite a necessity out in this region. As you can see, they encompass the headlights as well. Some vehicles add bars down the side, to protect the car while driving through tight gullies and slippery muddy roads. See the green scrim on the front of the Roo bar? That’s there to stop leaves, sticks and insects from being pushed into the radiator while driving across a river, creek or flooded plain. 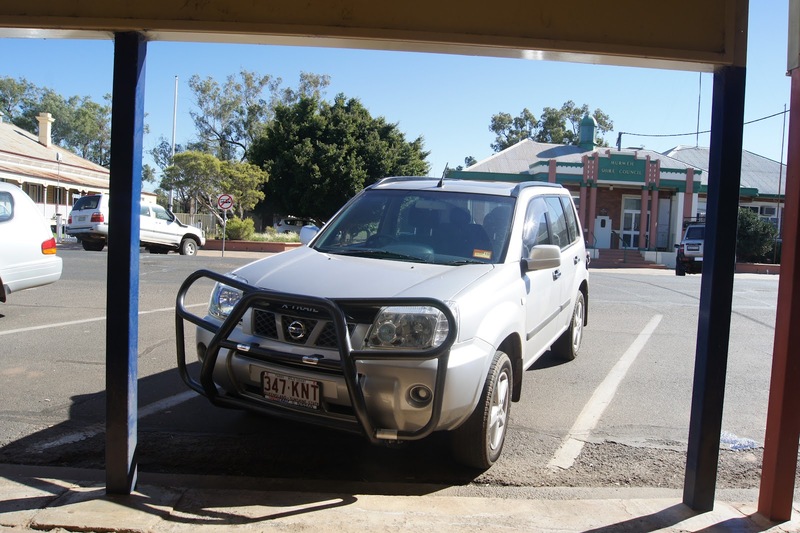 Roo bars aren’t as ‘full on’ as their brother – the “Bull bar”. (not my photo) Bull bars are pretty much a battering ram. 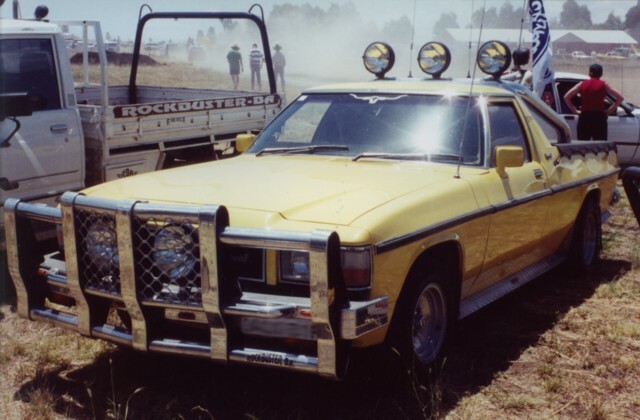 And… this is what my car would have looked like fitted with a Roo bar. That is… if my car was silver. 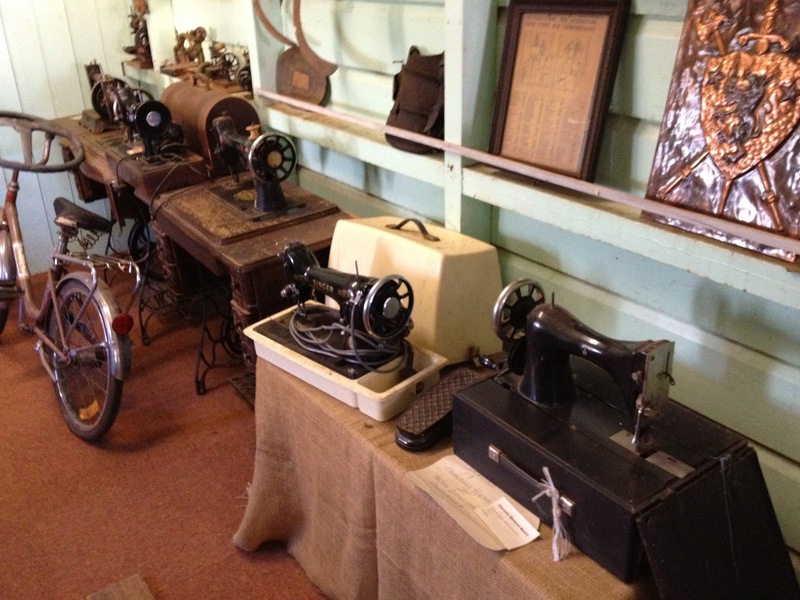 September 8, 2012 in Roo bars, sewing machines..
Love the roo bars. I might have to join the antique mall parade o' stuffs. Ha ha ha… OH! I have done an extensive load of antiquing of late looking for a birthday present! Has this become an unofficial Antique month in the the typosphere? Oh? Can't say it could hurt! Thanks for the photos — those roo bars are impressive. Nerd glasses for outback vehicles! no offense intended but my philosophy is that if your car needs that much protection from normal use you are living in the wrong place. I too much of a city boy for that environment I suppose. Nerd Glasses! I like it. Never thought of it that way. I used to be a keen cyclist, and these kinds of cars used to scare the crap out of me, because they voided most of the safety features of a car – as far as pedestrians were concerned. Humans break and bounce off these the same way that Roos do. Here in Queensland there's a lot of that kind of thing happening. Heavily modified Hilux utes, Landcruisers with bullbars. Half the time the most 'country' these things get, is to visit the camping grounds around Noosa, or driving on the beach at Frazer island – which is a designated national highway. Go figure.